Many of the innovations that we think of as hallmarks of Western science were actually the result of Arab ingenuity: Astronomers laid the foundations for the heliocentric model of the solar system long before Copernicus; physicians accurately described blood circulation and the inner workings of the eye ages before Europeans solved those mysteries; physicists made discoveries that laid the foundation for Newton's theories of optics. But the most significant legacy of Middle Eastern science was its evidence-based approach - the lack of which kept Europeans in the dark throughout the Dark Ages. With transporting detail, Al-Khalili places the listener in the intellectual and cultural hothouses of the Arab Enlightenment and tackles two tantalizing questions: Why did the Arab world enter its own Dark Age after such a dazzling enlightenment? And how much did Arabic learning contribute to making the Western world as we know it? 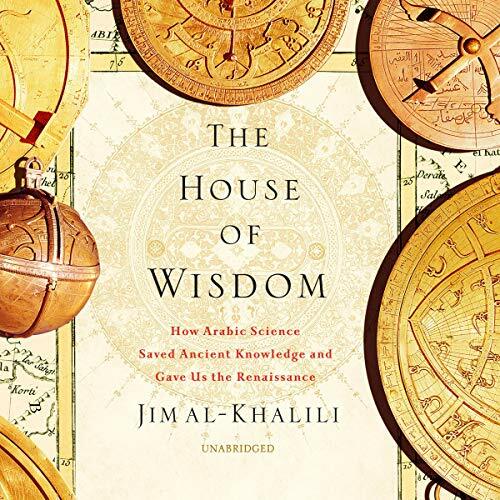 Given his singular combination of expertise in both the Western and Middle Eastern scientific traditions, Al-Khalili is uniquely qualified to solve those riddles. ©2019 Jim Al-Khalili (P)2019 Blackstone Audio, Inc.